Meditation has been used for centuries to quiet the mind, open the heart, calm the nervous system, and increase focus. 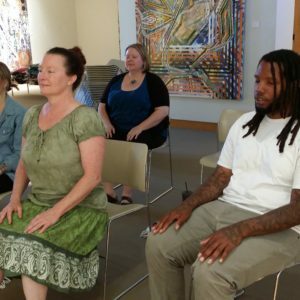 Whether you’re a beginner or a skilled meditator seeking the company of others, join us for this hour session deigned to help you wipe away the stress of the work week. The sessions will be inspired by our current exhibit and will include a brief opening talk, followed by mediation. Chairs will be provided. Friday, February 8, 2019 | 5:30 - 6:30 p.m. 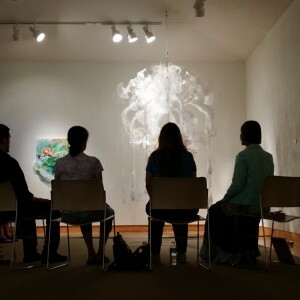 Admission: $8 | Free for Quincy Art Center Members. Become a member today! 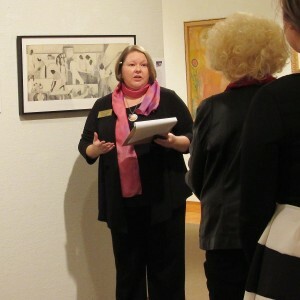 Friday, March 29, 2019 | 5:30 – 6:30 p.m.
Get the inside scoop and grab a cup of joe during this lively conversation with Jennifer Teter, Quincy Art Center Executive Director & Curator, about the latest feature exhibition. Admission: Suggested $5 donation includes coffee and breakfast snacks. Free for Quincy Art Center Members. Become a member today! 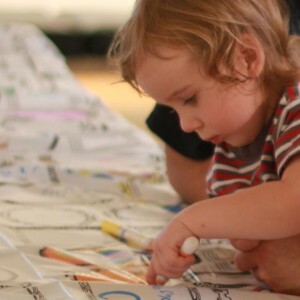 Second Saturday of Every Month | 10 a.m. - 1 p.m.
Make memories with your family while exploring the exhibits & creating a gallery activity for all ages. Different themes each month. Enjoy a different fun theme every month that coordinates with our current exhibits. Paint Your Own Pottery will be available in our studio for a small fee. Pre-registration is encouraged. Admission: $5 per family for non-members. Free for Quincy Art Center Members. Become a member today!